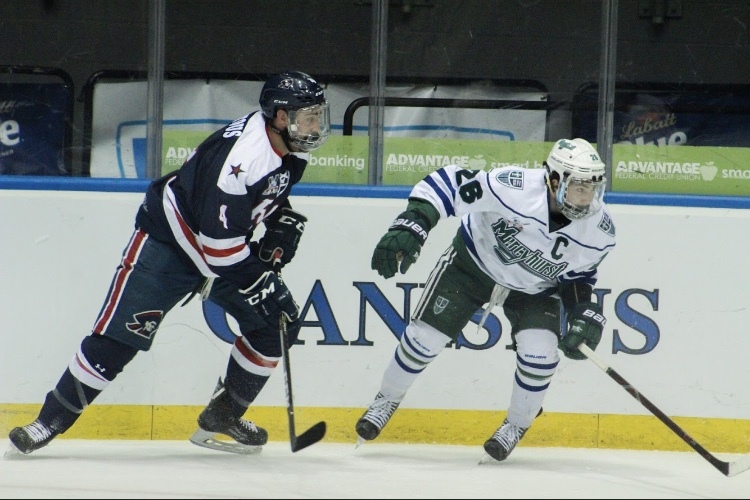 The Robert Morris men’s hockey team (0-0) looks to start their 15-year celebratory season on a winning note, as the Colonials face off against the Bowling Green State Falcons (0-0) in a home-and-home series this weekend. The first matchup takes place this Friday night at Colonials Arena at 7:05 p.m., and then continues on Saturday at the Slater Family Ice Arena in Bowling Green, Ohio at 5:07 p.m. Before the puck drops on the start of the regular season for college hockey, let’s take a look at some players to keep an eye out for on RMU’s side, and what awaits the Colonials with the Falcons. 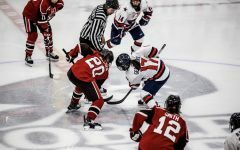 Prkusic contributed on two of RMU’s goals in the exhibition win over the Brock Badgers on Sunday afternoon. Many are speculating that this season will be one for the sophomore to break out of his shell and improve his point and goal totals for the team. While Prkusic is known as more of a passer than a shooter, it will be interesting to see how he will be able to contribute on the ice both offensively and defensively for a Colonials team that is in need of scoring from all fronts this year after the loss of leading scorer Brady Ferguson. As one of the tallest forwards on this season’s team, Addamo can pack a punch both on offense and defense. He contributed on the other two goals in RMU’s victory over Brock, and the native of Clermont-Ferrand, France will be looking to use his size to his advantage. While he may not always be noticed for huge defensive plays, expect Addamo to find his stride within the first few games of the season, and don’t be at all surprised if you see him hustling back to break up an occasional odd-man rush or two. This will surely be an all-around great season for the European. Bowling Green is coming off a relatively average campaign last year, as they reached the WCHA semifinals with an overall record of 23-12-6 and a conference record of 17-16-5. Of substantial note, however, are the Falcons’ home and road records over last season. Both records were on the winning side, with BGSU going 11-4-5 at home, and 10-8-1 when on the road. The Falcons swept Ferris State in the WCHA quarterfinals 2-0, before a heartbreaking overtime loss in game 3 of the semifinals to the Northern Michigan Wildcats 3-2. One to watch for Bowling Green is junior Alec Rauhauser. The Bismarck, North Dakota native put up a 0.95 PPG average last year, and contributed 39 points (9G, 30A) in his sophomore year, good for a tie for seventh in the entirety of the WCHA. 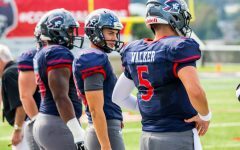 Like Prkusic, Rauhauser may be more of a passer and setup man than a scorer, but he will be a key player that RMU must take the passing lane away from if they hope to win either of these two contests to start the season. 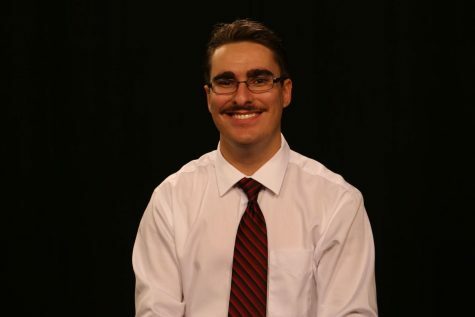 As always, RMU Sentry Media will have coverage of men’s hockey all season both at home and on the road. 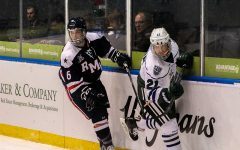 Stay up to date on all men’s hockey news and Colonial athletics at rmusentrymedia.com, and be sure to follow us on Twitter at @RMUSentryMedia.